Pete Nowlen, artistic adviser for Music in the Mountains, is featured in this half-hour River Music documentary, which premiered on KVIE. It documents the Music in the Mountains 2013–14 Young Composers Program. With funding from the Getty and Volgenau Foundations, the 24 teenage student composers studied a science curriculum with the Sierra Streams Institute focusing on the Yuba River and the restoration of its salmon run. The student composers then wrote music with this inspiration. 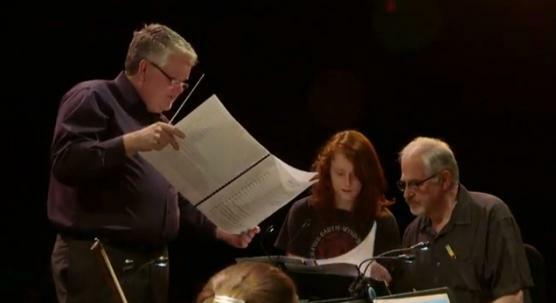 10 of the students composed for full orchestra, and their pieces were premiered by the Music in the Mountains Summerfest Orchestra in June, 2014.